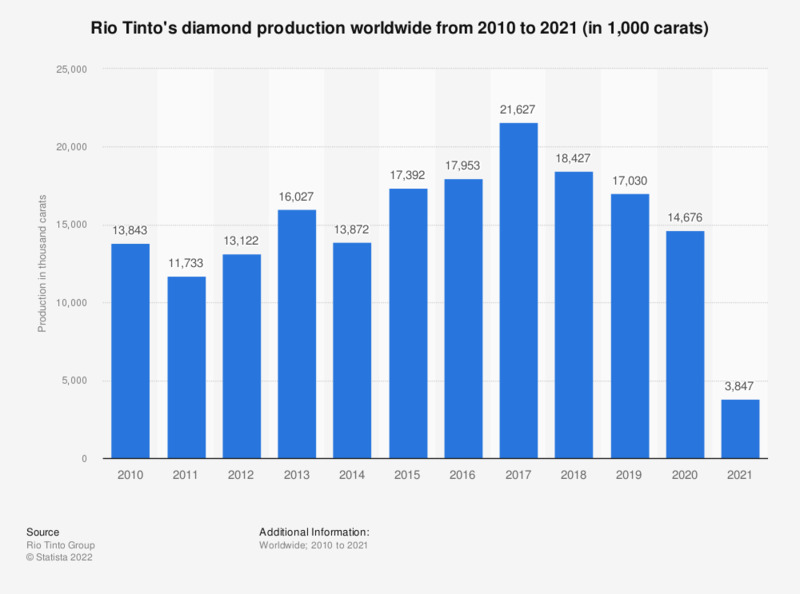 The statistic shows the diamond extraction of mining company Rio Tinto from 2007 to 2018. In 2018, the company extracted some 18.4 million carats of diamonds. From 2007 to 2011, Rio Tinto's diamond production steadily decreased to a low of 11.7 million carats produced in 2011, before starting to increase again the following year. Everything On "Rio Tinto" in One Document: Edited and Divided into Handy Chapters. Including Detailed References.